Trea Martyn's "Elizabeth in the Garden: A Story of Love, Rivalry, and Spectacular Design"
which you can take a look at. 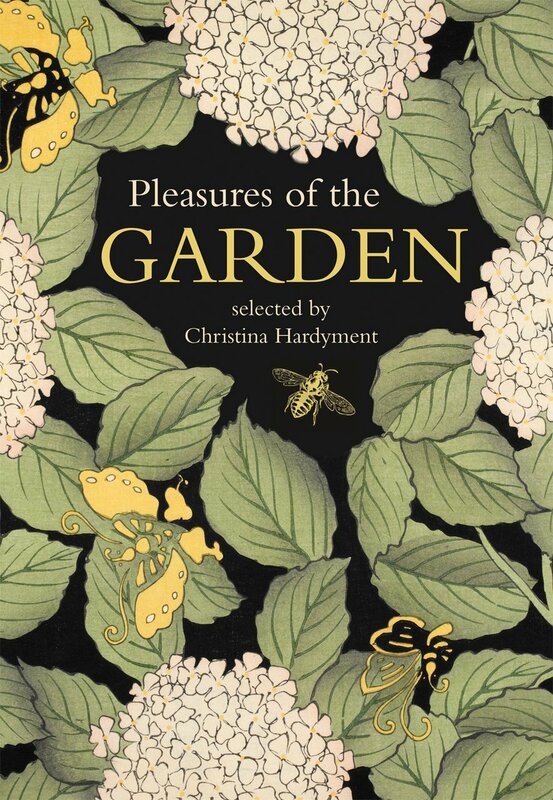 The gardening (or garden-related) books which really interest me have stories with unusual characters and their relationships with plants. Gardens are often just stages on which these characters perform their plays. The types of books that absolutely disinterest me are the gardening "how-to" ones, especially "how to grow vegetables and/or fruit as organically and cheaply as possible." Now, not to come across as a curmudgeon, I understand for the majority of newbie gardeners who are taking the plunge with their shovels and wallets into the wild and woolly world of growing fresh food will find such information useful. Education is always a good thing, especially if one learns that "gardening" can encompass more than growing turf and using bags of weedkiller and synthetic fertilizers. I just can't fathom reading two hundred plus pages about this--not very entertaining. One particular passage caught my eye. It was written and published recently (well, relatively) and has a tone that is somewhat wry and ironic to 21st century readers. It's an excerpt from A Summer in a Garden written by an American amateur gardener and (professional?) humourist Charles Dudley Warner. He was a contemporary of Mark Twain and as you read the passage, it's not too difficult to pick up Twain's voice in Warner's writing. A Summer in a Garden reports on Warner's gardening at his place called Nook Farm, near Hartford, CT. You may find the language a little outdated, sexist, and overtly religious but try to find the humour in what he writes about. (Put in context, I imagine his readership was likely composed mainly of other white, affluent males in Connecticut like himself!) It's part practical gardening advice and part Sunday sermon but more than a few of Warner's observations are amusing, witty and uncomfortably accurate if you're slogging away in the garden. After all, human nature and Mother Nature haven't changed appreciably over the centuries. After reading what follows, it's very possible that you'll think about weeding in a different way! "The love of dirt is among the earliest of passions, as it is the latest. Mud-pies gratify one of our first and best instincts. So long as we are dirty, we are pure. Fondness for the ground comes back to man after he has run the round of pleasure and business, eaten dirt, and sown wild-oats, drifted about the world, and taken the wind of all its moods. The love of digging in the ground (or of looking on while he pays another to dig) is as sure to come back to him as he is sure, at last, to go under the ground, and stay there. To own a bit of ground, to scratch it with a hoe, to plant seeds and watch their renewal of life, this is the commonest delight of the race, the most satisfactory thing a man can do. However small it is on the surface, it is four thousand miles deep; and that is a very handsome property.And there is a great pleasure in working in the soil, apart from the ownership of it. The man who has planted a garden feels that he has done something for the good of the World. He belongs to the producers. It is a pleasure to eat of the fruit of one's toil, if it be nothing more than a head of lettuce or an ear of corn. One cultivates a lawn even with great satisfaction; for there is nothing more beautiful than grass and turf in our latitude. The tropics may have their delights, but they have not turf: and the the world without turf is a dreary desert. The original Garden of Eden could not have had such turf as one sees in England. The principal value of a private garden is not understood. It is not to give the possessor vegetables or fruit (that can be better and cheaper done by the market-gardeners), but to teach him patience and philosophy and the higher virtues, hope deferred and expectations blighted, leading directly to resignation and sometimes to alienation. The garden thus becomes a moral agent, a test of character, as it was in the beginning. The most humiliating thing to me about a garden is the lesson it teaches of the inferiority of man. Nature is prompt, decided, inexhaustible. She thrusts up her plants with a vigour and freedom that I admire; and the more worthless the plant, the more rapid and splendid its growth. She is at it early and late, and all night; never tiring, nor showing the least sign of exhaustion... There is no liberty in gardening. The man who undertakes a garden is relentlessly pursued. He felicitates himself that, when gets it once planted, he will have a season of rest and of enjoyment in the sprouting and growing of his seeds. It is a green anticipation. He has planted a seed that will keep him awake nights; drive rest from his bones, and sleep from his pillow. Hardly is the garden planted, when he must begin to hoe it. The weeds have sprung up all over it in a night. They shine and wave in redundant life. The docks have almost gone to seed; and their roots go deeper than conscience. Weeds have hateful moral qualities. To cut down a weed is to do a moral action. I feel as if I were destroying sin. My hoe becomes an instrument of retributive justice. I am an apostle of Nature. This view of the matter lends a dignity to the art of hoeing which nothing else does, and lifts it into the region of ethics. Hoeing becomes, not a pastime, but a duty. And you get to regard it so, as the days and the weeds lengthen. The hoe is an ingenious instrument, calculated to call out a great deal of strength a t a great disadvantage. Nevertheless, what a man needs in gardening is a cast-iron back,-- with a hinge in it."